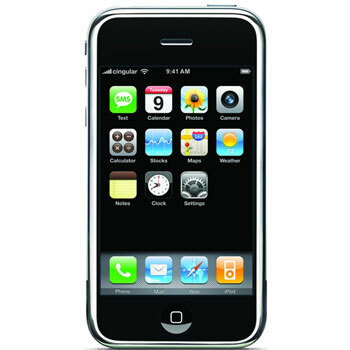 Apple has started selling unlocked versions of its incredibly successful cell phone, the iPhone 3G, in Hong Kong. This is in direct contrast to Apple’s selling policies in other countries like Australia, India and the United States. In most of the countries Apple’s iPhone is available to consumers as a part of a contract from a mobile carrier. In the US, AT&T is the sole carrier for the iPhone. This tethering of the phone to a contract helps consumers acquire these high technology devices at more affordable prices. The downside of such a deal is the lock-in to a contract. Sales numbers suggest that consumers do not mind the contract lock-in that much. However, there has always been and still is a demand for the iPhone to be sold unlocked. This would allow consumers to use the phone on carriers of their choice. Such a step would surely jack-up the price of the phone to by a huge margin, but discerning consumers would not mind that as long as they can use the phone on a network of their choice. This demand has a lot of sense. Not all carriers have the same coverage in all areas. So tying the iPhone to a specific carrier can practically alienate a large consumer base. Till date, Apple has been going into deals with carriers that have majority coverages in their respective countries. In Hong Kong, the iPhone used to be available only with a contract from Hutchinson. Now with the release of unlocked iPhones, Apple has instantly appealed to a larger consumer base. A lot of business people are tied to carriers that are contracted by their employers. For such people the unlocked iPhone is a great attraction albeit at a very expensive price. It’s not instantly clear why Apple made this move. Maybe its just an experiment. If it is so, then Hong Kong is surely a great location for it. The country offers a huge market with substantial disposable income. Another potential candidate for such an experiment would be India. So are we going to have unlocked iPhones in the US anytime soon? Apparently it all depends on how the experiment in Hong Kong goes. Australia can uncover their handset with this network.